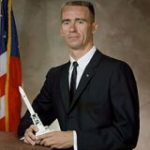 Walter Cunningham is best known as pilot of Apollo 7, the first manned flight test of the Apollo Program to land a man on the Moon. 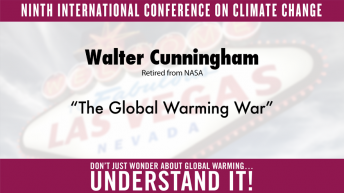 He is a retired Marine Corps fighter pilot with the rank of colonel and 4,500 hours pilot time. 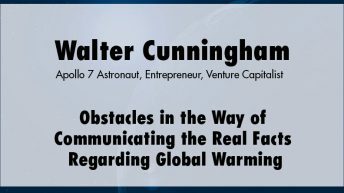 He is a successful businessman, entrepreneur, venture capitalist, lecturer, author, and host of a radio talk show. 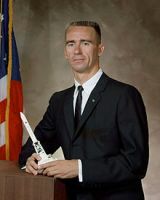 He is a member of the astronaut hall of fame. 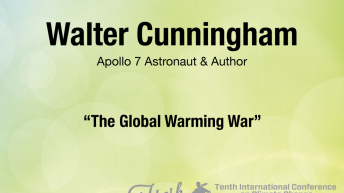 His writings and involvement with energy and the environment date back to 1970, when he was one of three founders of The Earth Awareness Foundation, an environmental concern organization. 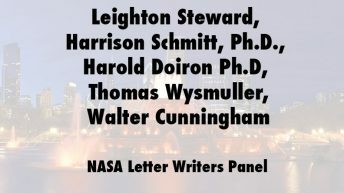 From 2000 to 2005, he was a member of the advisory board for the National Renewable Energy Laboratory. 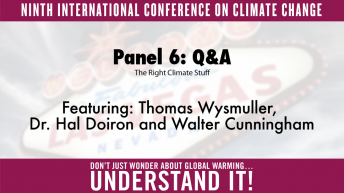 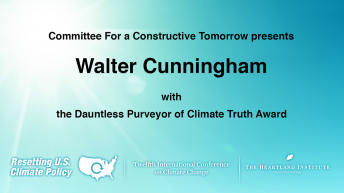 In 2017, at the 12th International Conference on Climate Change, CFACT awarded Cunningham the Dauntless Purveyor of Climate Truth Award.